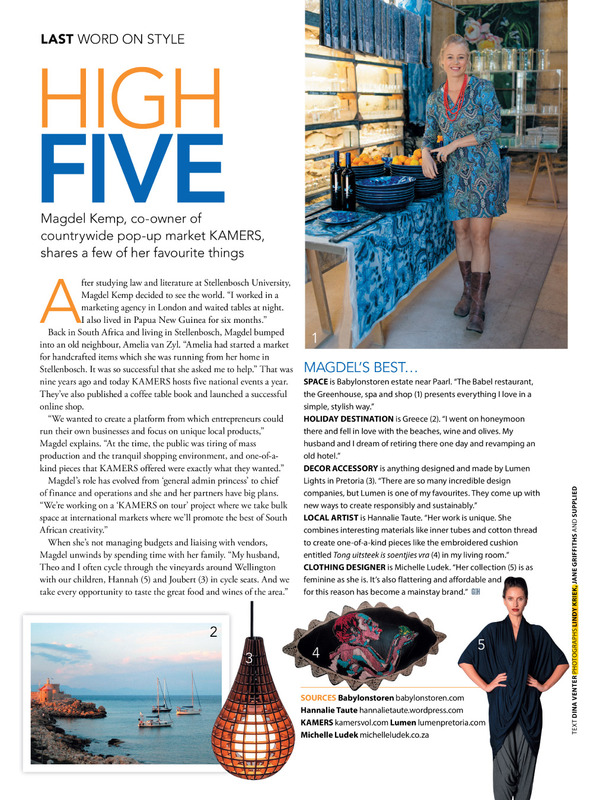 In their latest issue, Garden and Home magazine chats to one of the faces behind KAMERS Makers. Magdel Kemp, co-owner and CFO, shares her story, local favourites and dream destinations. Make sure you get your hands on Garden and Home’s August issue. A big thanks to Lindy Kriek for the beautiful photos of Magdel.